Step out boldly with customized oxford shirts that resist wrinkles to keep her looking great! This classic, easy-care shirt by Landmark™ is tailored to stand out with a wrinkle-resistant finish. Front and back darts along with tapered seams hug the curves of the female shape. Adjustable one-button cuffs accommodate wrists of all sizes. Made from 55/45 cotton/polyester cross dyed oxford with wrinkle-resistant finish. 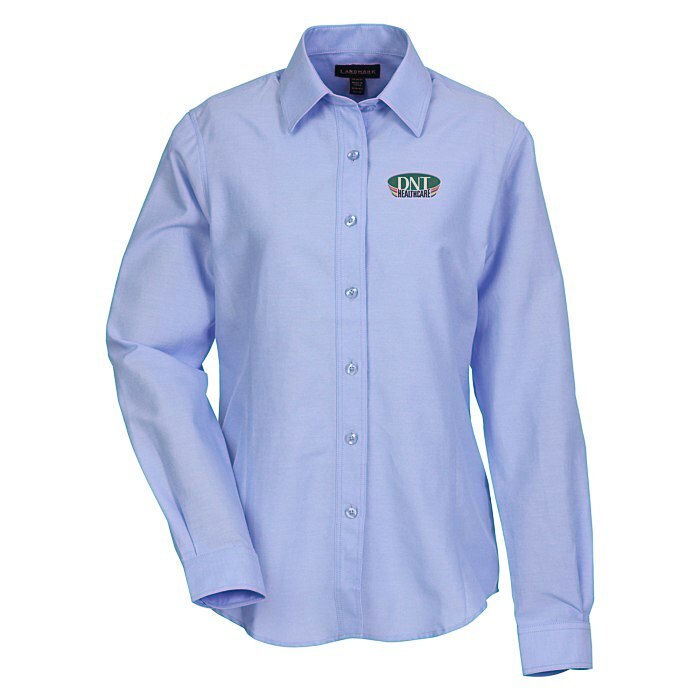 For the coordinating men's long-sleeve shirt, see item #116997-M.